Industrial designs are governed by the new Designs Law 2017, which entered into effect on 7 August 2018 and replaced the old Patents and Designs Ordinance (the ordinance still governs designs filed before the new law’s entry into force). the Unjust Enrichment Law 1979.
the Copyright Law 2007 (Section 7). The Israeli Ministry of Justice recently published a draft of the new Design Regulations. Until the new regulations enter into force, the Design Regulations 1925 will apply, mutatis mutandis. Israel is not a party to the Hague System; however, the Israeli Ministry of Justice aims to join by the end of 2018. A design may be protected as an unregistered design if it is new and of individual character, and provided that it was offered for sale or distributed to the public in Israel in a commercial manner, including online, by the design owner or on the owner’s behalf, within six months of its disclosure date to the public, in or outside Israel. Individual character assessment is necessary and is similar to that for registered designs. The term of protection for an unregistered design is three years from its disclosure date. Exclusions for eligibility apply and are similar to those for registered designs. Registered design rights in Israel are obtained through registration at the Israeli Patent Office (ILPO) for a design relating to a product or a part thereof, consisting of one or more visual features (eg, contour, colour, shape, ornamentation, texture or material) and including a set of articles, packaging, graphic symbols and screen display. Design protection does not include typeface and computer software. A design must be new and have individual character to be eligible for registration. A design will be considered new if an identical design, or a design that differs only in non-essential details, has not been made available to the public before the application or priority date in or outside Israel (known as the ‘effective date’). When assessing individual character, designs relating to any type of product – namely, not necessarily limited to the same class as the design’s product – will be taken into account while considering the variety of options available in designing the products in the field that the design product belongs to. Individual character is assessed in the eyes of the ‘informed user’, who is deemed to be a person interested in using the design product and familiar with a variety of designs existing in the field to which the product belongs. the appearance of a product or part thereof that must be manufactured exactly in the form and dimensions in which they were produced in order for their function to be performed as stated (ie, ‘must-fit’ features). Disclosure of a design to the public will not affect its eligibility to be protected as a registered design if it was disclosed during the 12 months preceding the effective date by the design owner or as a result of information originating with the design owner, regardless of whether the information was obtained lawfully or unlawfully. A registered design is protected for a five-year period from its application date, which is extendable by four successive five-year periods for a total of 25 years. Priority may be claimed in accordance with the Paris Convention, provided that the Israeli application was filed within six months from the filing date of the prior application. The application, including a visual description, will be published on the ILPO website shortly after its filing. Deferment of publication is applicable for a period not exceeding six months from the application filing date. A design application must include a set of representations. The representations can be photographs, line drawings or computer-generated images, and must clearly and accurately show the design for which protection is claimed. The representations can be in black and white, greyscale or colour. There is no requirement for a specific number of views, though the representations must leave no room for any assumptions or conjectures regarding the overall appearance of the claimed design. Broken lines, blurring, blackening or lightening may be used to illustrate unclaimed portions of the design. The application may include descriptive text of the visual features of the designs, provided that these features are visible in the representations. Multiple design applications may be filed, but will be divided into separate single design applications, either at the time of filing (if filing fees for each design have been paid) or at the commencement of the examination process (if filing fees for each design have not been paid). An application for a set of articles (ie, articles of the same class, where their visual characteristics differ only in non-essential details and are ordinarily offered for sale together or intended for use together) may be examined and registered as a single application. Protection of such a design is afforded to the set of articles in its entirety, as well as to its constituents. The examiner will examine whether the design included in the application is eligible for registration and complies with both the procedural and substantive requirements. In the examination, the examiner may rely on documents submitted by a third party, among other things. Based on the current rate of examination, the first examination report on the application’s merits is issued within four to five months. An expedited examination may be requested under certain conditions. The applicant must respond to the examination report within three months from the issue date of the examination report. The examination process must be concluded within 12 months from the date of the first substantive examination report. Extensions are available, subject to payment of the prescribed fees. If the design has been deemed eligible for registration, the registrar will register it with the Registry, publish its details on the ILPO website – including its visual description – and issue a certificate of registration. Any person adversely affected by an examiner’s decision or action may appeal before the registrar. The registrar’s decision may be appealed before a district court within 45 days from the decision’s issuance date. an earlier application for registration of the same design, or of a design distinguished therefrom only in non-essential details, was pending at the time that the registered design was granted. The registrar’s decision may be appealed before a district court. The owner of an unregistered design has the exclusive right to prevent any person from producing for commercial use a product which is an identical copy of the design, or a product which creates on the informed user an overall impression that is not different from the overall impression by the design product. commercial distribution or import into Israel other than for personal use, provided that at the time the act was performed the alleged infringer knew or should have known that the product was an infringing product. holding a registered design product for the purpose of performing any of the acts listed above. A person exploiting a registered design, alone or through another party, after the publication date of the application for registration and without the registered design owner’s permission, infringes the registered design. actual damages caused to the plaintiff. the performance of an act with respect to means of manufacture of infringing products to prevent future infringement. In an action due to design infringement, the infringer will not be liable to pay compensation if at the time of the infringement they did not know or did not have to know that rights exist in the design. However, it is presumed that the offender knew that there are rights in the design if the design was registered or, with respect to an unregistered design, if the design was marked under or if an application to register it was published. Criminal action: A person commercially exploiting a registered design through a business, by means of manufacture or import of a design product identical to a registered design and without the registered design owner’s permission, is liable to a fine of up to $63,000. Customs detention: Under certain conditions, a registered design owner may ask the customs director to delay the release of goods that are suspected to infringe a registered design and to treat them as goods whose importation is prohibited by the Customs Ordinance. the customer is the first owner of a design if the design was custom-made, unless otherwise agreed between the customer and designer. A person listed in the Registry as the owner of a registered design is considered to be the owner of the registered design unless proven otherwise. The person who first made the unregistered design available to the public, in person or through another party, in Israel or abroad, is considered to be the owner of the design unless proven otherwise. Design rights may be assigned in whole or in part. An agreement for the assignment of design rights needs to be in writing (although this requirement is merely of declaratory nature) and evidence duly showing the existence of an oral agreement would likewise be effective. The assignment of rights in a registered design will have effect only for the parties to the agreement or a person who knew of the assignment, unless such an assignment was duly recorded in the Registry. The parties to the assignment of registered designs (including pending applications for registration) may apply to register the rights to reflect the rights in the design. According to the Copyright Law, copyright will subsist in, among others, artistic works affixed in any form. The term ‘artistic works’ includes works of applied art. However, it is prescribed that copyright will not subsist in ‘designs’ as defined in the Design Law, unless the design is not used or intended for use in industrial manufacture. Nevertheless, in the recent Supreme Court decision Fisher Price Inc v Davron – Import & Export Ltd (CA 1248/15, 31 August 2017), it was held that original works should not be denied copyright protection merely because they appear on a product eligible for design protection. Trademarks can be two-dimensional or three-dimensional (3D). Registering a certain design as a trademark instead of, or in addition to, registering it as a design is permitted. The general opinion of the courts is that the appropriate way to protect a 3D design of products or their packaging is by registering them as designs. According to one district court decision, an expired registered design is prima facie not eligible for registration as a trademark, since providing the possibility of registering the lapsed design as a trademark will prevent the public from using that design. This limitation does not fulfil the purpose for which the exclusivity by the design registration was granted. 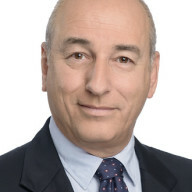 David Gilat is a senior partner at Reinhold Cohn Group. He is an attorney at law and patent attorney and focuses his practice on litigation in the fields of patents, trademarks, designs, copyright and competition law, as well as licensing and transactions work, opinions and general counselling. His main clients are in the pharmaceutical, chemistry, aerospace, food, branding and advertising sectors. Mr Gilat – who was a research fellow at the Max Planck Institute for Innovation and Competition – is the author of various publications and teaches patent law at the law faculty of Tel Aviv University. He is a committee member of the International Association for the Protection of Intellectual Property (AIPPI) and the International Trademark Association (INTA) and is active with the Pharmaceuticals Trademarks Group. Sa’ar Alon is a partner at Reinhold Cohen & Partners. He is an attorney at law and manages the firm’s design department. Mr Alon holds an MBA from the Bar-Ilan University and an LLB from the College of Management Academic Studies. 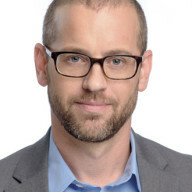 His practice focuses primarily on counselling and representing clients in Israel in design protection, as well as filing and prosecution strategies in Israel and worldwide. Together with the group’s litigation department, Gilat Bareket & Co, Mr Alon represents clients in proceedings before Israeli courts and the Israel Patent Office. He has contributed to the legislation of the new Israeli Design Law. Mr Alon is a member of the INTA and AIPPI designs committees.